When you get an unbeatable deal on a mattress! 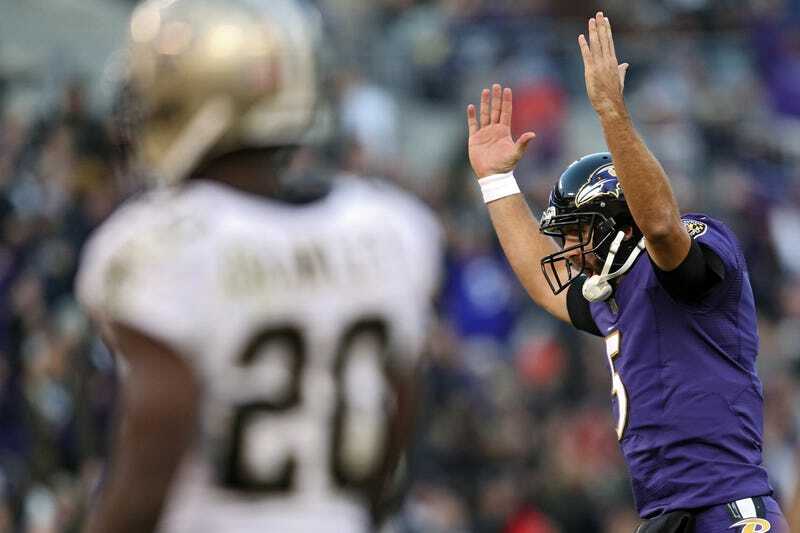 The Saints beat the Ravens on Sunday on the rarest of rarities. So there would’ve been a lot to potentially talk about in the postgame meet-and-greet, but Joe Flacco got right to the important stuff: He needed to let Sean Payton know that Payton’s brother sold him a mattress on the Jersey Shore a few years ago. Flacco’s a New Jersey native, so that makes sense. It’s unclear if Payton’s brother is a mattress salesman or if this was like, a Craigslist thing, but I sincerely hope it was the former. We’ve asked the Ravens and Saints to clarify. We will allow no disputing of the rankings. What was this blog originally about again?